There's now a video to go along with this article. Check it out below! Iceland is an incredible country with tons of amazing things to offer tourists, including natural beauty, friendly people, and exciting outdoor activities. Unfortunately, it can also be really expensive. 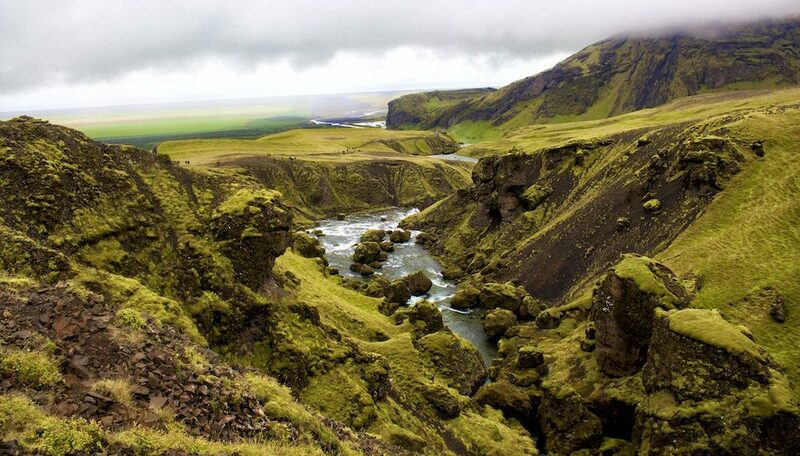 With an average daily cost of $200 USD, many travelers believe they can't visit Iceland on a budget. Thankfully, this doesn’t have to be the case. How do I know? Because I traveled through Iceland for under $100 USD per day. And you can do the same—all you need is a little patience, planning, and flexibility to visit Iceland on a budget. Everything is less expensive in the off- and shoulder-seasons, so aim for anytime other than June-August. I was there in September and the prices had already started to come down. How should I get around Iceland? All international flights—save those from Greenland and the Faroe Islands—arrive at Keflavík International Airport, located about 50 km from Reykjavik. Assuming you’re not picking up a rental car at the airport, skip taking a taxi into town, as this will cost you around $125 USD [15,000 króna]. Instead, opt for the FlyBus, which costs only $22 USD [2,500 króna] for a ride to the centrally-located BSÍ Bus Terminal, or $26 [3,000 króna] if you prefer to be dropped off directly at your hostel or hotel. TheFlyBus is quiet, comfortable, and even provides WIFI and USB outlets on every setback so you can charge your phone! 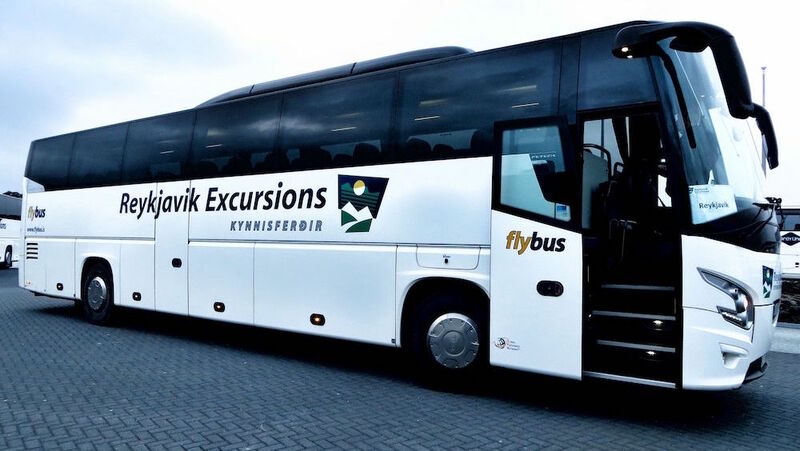 The FlyBus at Keflavík International Airport, Iceland. There’s no need to invest in public transportation while in Reykjavik; the city is very walkable and its hidden charms are best discovered on foot. If you decided to venture outside of Reykjavik—something I strongly recommend doing—you have a couple of budget-friendly options. By far the cheapest way to get around in Iceland is through hitchhiking. To many Americans this may seem dangerous, but don’t worry, it’s safe here. If you’re lucky, you can catch a ride from someone leaving in the center of town, but if not you can always take a cab or bus to the first entrance of the M1 highway, better known as the Ring Road. This two-lane highway circles the entire country, and you should have no trouble getting a lift from one of the many cars driving it. 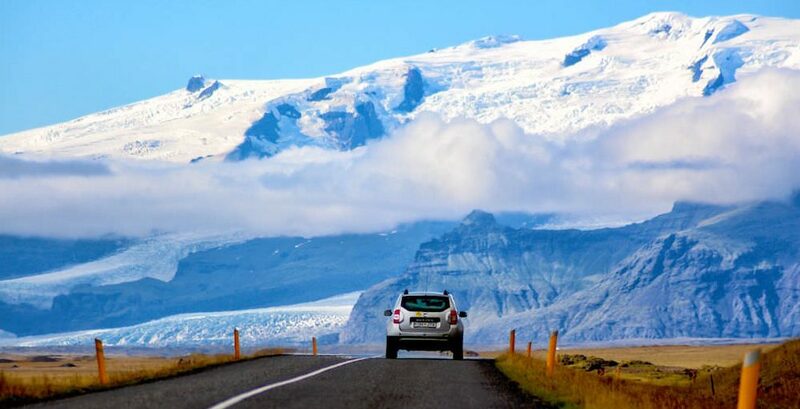 Iceland's Ring Road, a beautiful place to hitchhike. To increase your changes of getting picked up, try to hitchhike near a hostel or on the Ring Road itself. In addition, the southern half the island is more popular with tourists, so your chances will always be a better there. If hitchhiking isn’t your thing, then the best way to travel Iceland affordably is by sharing a rental car. The cost of renting a car is $40-70 USD per day [4,500-7,800 króna], with vehicles that take diesel fuel and have a manual transmission being less expensive. I would avoid paying more for excess insurance or four-wheel drive; neither is necessary unless you plan on venturing off of the main roads. Likewise, skip the optional GPS units, which, for whatever reason, seem to regularly direct travelers to the wrong location. Instead, rely on your smart phone’s GPS. My rental car in Iceland. The cost of a rental car can be reduced significantly by carpooling. I recommend using the website samferda.net to find people to fill your rental’s seats. It’s popular enough that you should have no trouble finding enough passengers to defer the cost of gas and perhaps even the rental itself when traveling between larger cities. I would suggest skipping the bus network. Many of the routes are closed in the wintertime, and the passes can be quite expensive if you’re not staying for an extended period of time. Plus, the majority of Iceland’s most beautiful sites aren’t found on the routes covered by these buses. Where should I stay in Iceland? The cheapest way to sleep, at least in the city, is to Couchsurf. The Couchsurfing community in Iceland is very active, but the increasing number of tourists means that vacant couches are becoming harder and harder to find. To maximize your changes, get in touch with potential hosts as early as possible. Hostels in Iceland are not the cheapest, but there are a few ways you can decrease their cost. First, become a Hosteling International member. For just $28 USD, you get a card that allows you to save $5 each night you stay at a member hostel—meaning that you’ll recoup the cost of your card after just six days. At last count, there were 34 such hostels in Iceland alone. 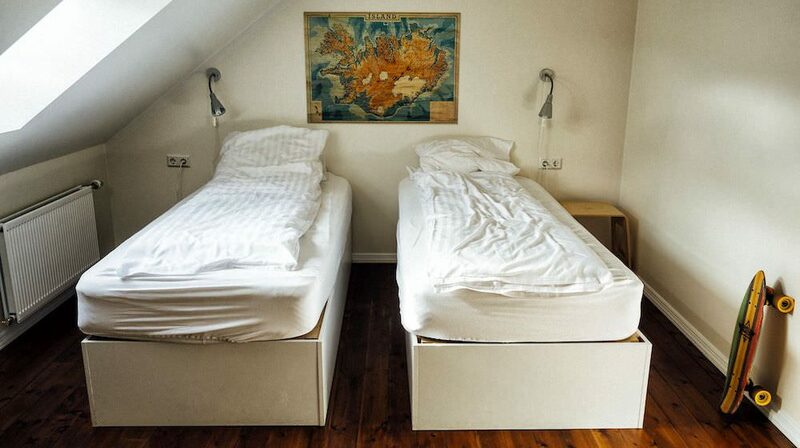 A typical hostel room in Iceland. As I said before, prices vary greatly in Iceland based upon the season, but you can expect to pay around $35 USD per night [4,000 króna] for a bed in a dorm with a shared bathroom during the winter and $40 USD per night [4,800] in the summer (Here’s a nice chart showing prices through mid-May 2018). No, it’s not cheap, but it’s more economical than a hotel! Even the most expensive hostels will fill up quickly, so book your room well in advance. This is particularly true in high-demand areas such as the route between Vík and Jökulsárlón, where I had to drive 90 minutes out of the way just to find a reasonably-priced place to stay. While the sheet on your mattress and a pillow are included at no cost, Icelandic hostels usually charge an additional fee (ranging from $5-15 USD) to rent towels and a duvet. Theses costs can add up quickly, so save yourself some serious cash by bringing your own sleeping bag or renting one while in Reykjavik from a service like Icelandic Camping Equipment Rental. 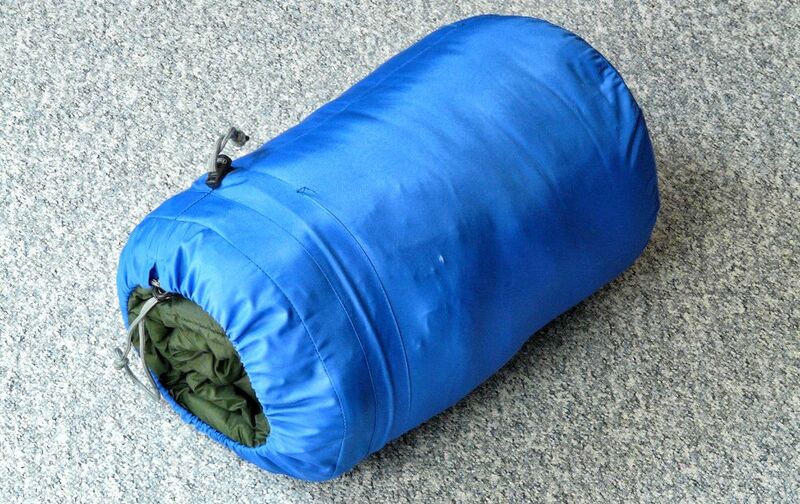 A compact sleeping bag like this is perfect for a trip to Iceland. If you’ve rented a car, you can simply pull into a rest stop and sleep there. Otherwise, camping is a very affordable alternative. It will cost about $14 USD [1,600 króna] for an overnight permit at an official campground, most of which have running water and toilets. While you technically set up camp almost anywhere (assuming there are no signs saying otherwise and you have fewer than four tents), I would discourage you from doing so as the sight (and remnants) of tents throughout the Icelandic countryside takes away from the country’s beauty. The scenic Landmannahellir campground in Iceland. While the food in Iceland has apparently improved greatly over the past few years, it is not a culinary hotspot and you will overpay for even the most basic items. The minimum I paid for a sit-down meal was $20 USD. As such, I suggest that you don’t even try eating well here. Instead, cook for yourself. All hostels, AirBnBs, Couchsurfing spots, and most campsites will have kitchen facilities—take advantage of this. The cheapest Icelandic grocery store chain is Bónus. They don’t have much selection, but the prices are low. By cooking for yourself you can eat comfortably for a few days for the price of one meal at a sit-down restaurant. If you absolutely have to eat out, the cheapest things to eat are hot dogs ($4 USD [450 króna] and pizza ($15 USD [1700 króna]). You can find a hot dog stand or pizza place in almost every town. 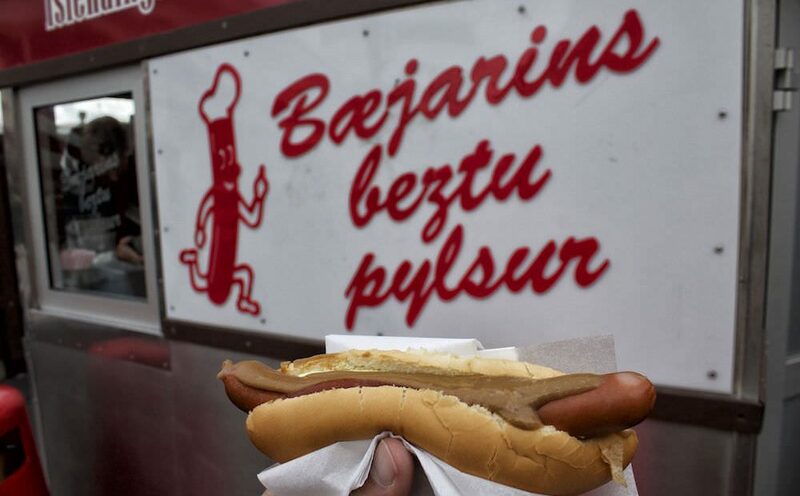 The ever-popular Bæjarins Beztu Pylsur hot dog stand in Reykjavik, Iceland. What should I drink in Iceland? Iceland has some of the cleanest tap water in the world. Bring a reusable bottle with you and you can skip spending $2 USD [220 króna] for a 1.5 L at the market. Alcohol is very expensive in Iceland, with the average cost of a pint of domestic beer being $10 USD [1100 króna]. The easiest way to save money is not to drink, but since the idea of vacation sans booze may abhor some people there are few ways you can get buzzed and enjoy Iceland’s well-known nightlife for less. First, stock up on alcohol at the duty free shop at Keflavík, where prices are almost 50% less. Second, pregame at home before heading out to the bars. Since drinks are so expensive, everyone else will be doing the same thing, meaning the bars will essentially be dead before 1 AM. What should I do in Iceland? One of the great things about Iceland is that almost all of its natural attractions are free, save the occasional parking fee. This means that once you account for food, drink, transportation, and lodging, you’ve almost completed your budget. There are a few worthwhile museums, and some awesome guided tours you can take (I’ll save these recommendations for a later post), but you can have as good of a time in Iceland simply by enjoying the unspoiled natural beauty. And you certainly cannot beat the budget price tag! 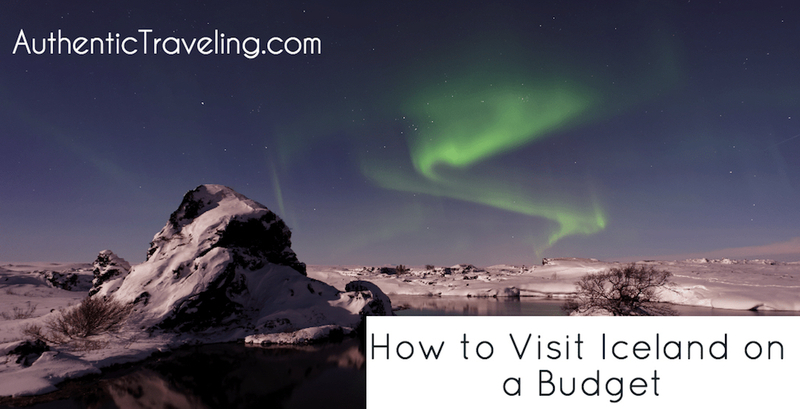 Contrary to popular opinion, you can visit Iceland on a budget. By following the advice above, it’s not difficult to cut your costs to well under $100 a day—all without feeling as though you’re missing out on anything. Have you been to Iceland? What was your experience like? Do you have any other money-saving travel tips? Let us know in the comments below! Iceland is such a gorgeous place, the scenery looks like something out of a fairy tale. I’ve heard from other travelers that the travel cost can be pretty steep but definitely worth it. Thank you for putting this together, Andrew! Bookmarked it for future reference. Glad you enjoyed it, Therie! Hah, it does look like it comes out of a book! The sheer variety of incredible landscapes you find in such a (relatively) small area is unique to Iceland. And I hope it comes in handy when you plan your trip to Iceland (hopefully sooner rather than later 🙂 ). Tuned in for the follow up post ! Visiting Iceland is deffinitely on my future plans, this post was so helpful… I’m bookmarking this. Thank you very much for all this info. 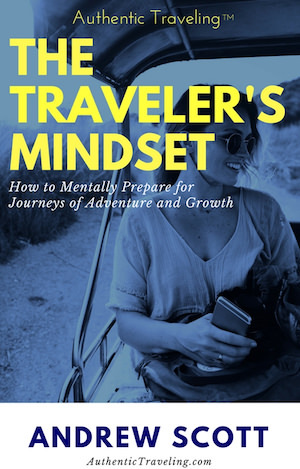 I have a good tip for saving money when you travel but you already wrote about it…. I think buying food at the supermarket is a great idea, that was you won’t have to buy somewhere else and you can cook it at your hostel. I’ve also heard that restaurants and markets far from the tourist area in Iceland are cheaper. Thanks for the kind comments! And yes, that’s a good tip–staying away from the restaurants (especially in the center) will save you a lot of money! I don’t think I can have anything up by Friday, but send me an email at Andrew@AuthenticTraveling.com with where you’re going and I’ll respond with some recommendations! Hi! Thank you for this great video and blog. As I will be travelling to Iceland soon, what are some tours and the museums you recommend, that are worth spending money in? Hey, Nadine–thanks for the kind words! How long are you planning on staying in Iceland for? Will you have a car? 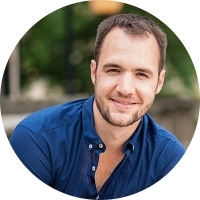 Are you interested in more active or passive adventure?